Analysis by Reuters found that President Donald Trump’s DHS has removed Haiti as one of more than 80 foreign countries that is allowed to send their nationals to the U.S. on the H-2B and H-2A visa programs, both of which import hundreds of thousands of foreign nationals to take low-skilled, blue-collar American jobs. 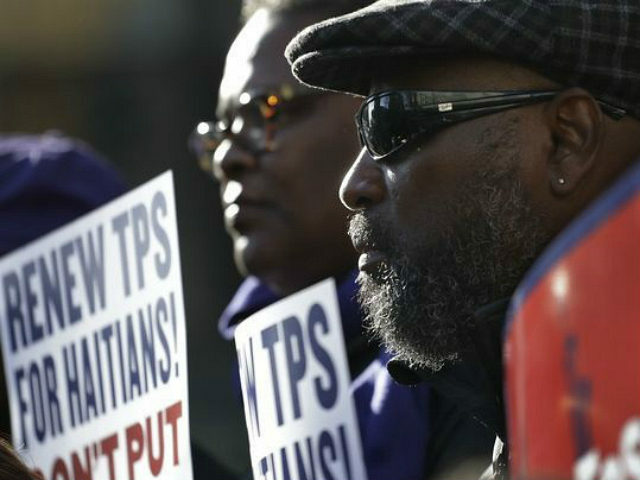 The primary two reasons for DHS removing Haitian nationals from being allowed to use the H-2B and H-2A visas include high rates of fraud among the nationals and an even higher rate of overstaying the visa programs in order to work illegally and off-the-books in the U.S.
As Reuters noted, Haitians were disproportionately more likely to overstay their visas in the U.S. than other nationals, with 40 percent overstaying their visas in Fiscal Year 2016. Haiti was not the only foreign country barred from using the H-2B and H-2A visa programs. Belize and Samoa have also been banned from using the visa programs, with DHS saying that the countries have not properly cooperated with taking back their illegal aliens and both have high rates of human trafficking issues. The low-skilled visa programs have been used by big agricultural companies and non-agricultural businesses to import low-wage workers that are often cheaper to hire than American workers, further pushing out U.S. citizens from the blue-collar workforce. For example, analysis conducted by Breitbart News of the H-2B visa found that despite constant complaining from the liberal media and big business that there is a “labor shortage” in blue-collar industries, the unemployment rate among working-class Americans and stagnant wages in professions where H-2B foreign workers are imported show no such shortage of workers.